If your father ever showed you his high school yearbook photo, you were probably left wondering how he managed to live through the long hair days of the 1970’s and ‘80’s. Who knows, he may have even sported a mullet phase at one point. If you do ask him, though, he’ll probably tell you he managed the top of his head by using a hair dryer to tame his mane. While your dad may have had to sneak a few uses of his mom’s hair dryer, today most hair dryers are better tailored to men’s needs. Over the last 20 years or so, the increase in the popularity of shorter hair styles has meant a decrease in the popularity of standard hair dryers for men, as simply towel drying your head has become more popular. But fear not, there are still plenty of blow dryers to choose from that are geared toward men with shorter hair. So even if you don’t have locks like Thor, you can still enjoy the feel of a warm scalp and stylish hair. In this article we take a look at some of the most popular men’s blow dryers and provide you with pricing, reviews, and their various pros and cons. Most of the dryers listed below are marketed toward men, but rest assured, women can use them too. Which Hair Dryers Are Best for Men? Before you purchase a blow dryer, you’ll want to check for one that best suits your type of hair (curly, straight, thin, thick, etc.) and your wallet. 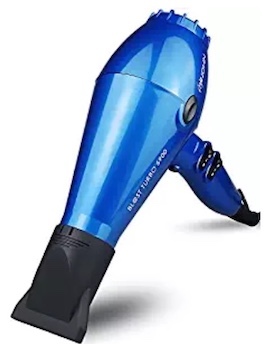 You’ll also want to select one that has plenty of power but won’t damage your hair, that’s easy to handle, and has other features you may want such as different dryer settings, temperature, handles, attachments, and so on. If you’re unsure about which one to purchase, there are literally thousands of reviews online that can help with your decision. Most of the dryers featured below come with 1,875 watts, 2 blowing speeds, and 3 heat settings. Prices range from as low as $15 up to hundreds of dollars. So sleek you can tell at a glance that this is no ordinary hair dryer. It’s modern, minimalist design pairs perfectly with Dyson’s next generation motor. The Supersonic Hair Dryer uses Air Multiplier technology to dry hair quickly while regulating temperatures to prevent heat damage. This hair dryer also comes with a series of magnetic attachments to ensure great styling options for all hair types. Adjustable air flow – blowing hot and cool, slow and fast. 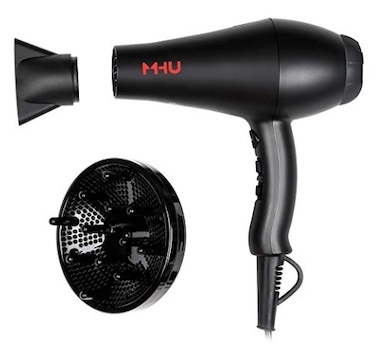 MHU Professional’s hair dryer provides a salon-quality blow dry without breaking the bank. Using negative ion technology, it allows hair to retain more moisture while drying, which reduces frizz and flatness. It also has a long cord so you can easily maneuver around while drying. This small dryer from Andis was designed specifically with short hair in mind and is used by barber shops around the world. It has all the features you need to make your hair look great including three air and heat settings, a turbo boost for fast drying, and a cool shot button to help lock your hair in style. 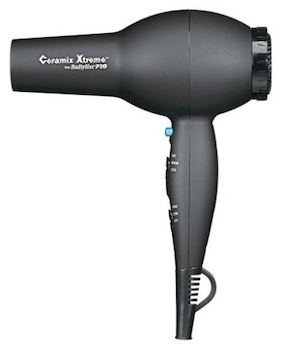 It’s hard to find a more powerful hair dryer at this size and price. 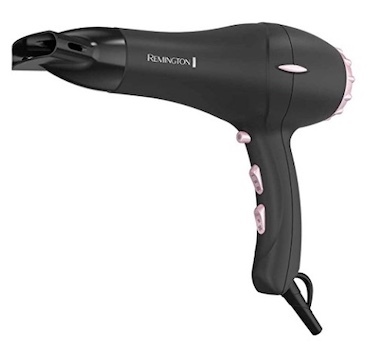 Remington’s pro hair dryer uses pearl ceramic technology to dry hair evenly and protect it from damage. The pearl and ceramic barrel also ensures that your hair won’t lose its sheen or become too fluffy. With multiple heat and air settings, it’s easy to find the airflow that suits your hair best. 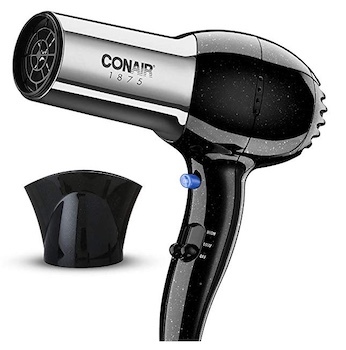 Conair is a classic player in the world of hair care. 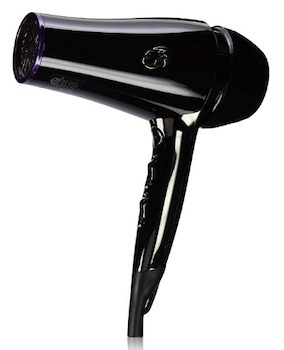 The company is well-known for their affordable hair products and this dryer is no exception. 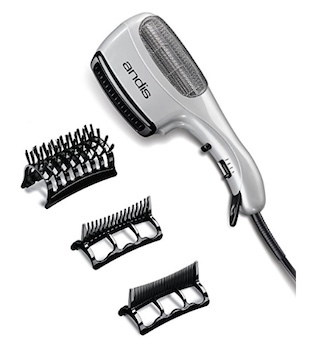 It uses a combination of ceramic and ionic technology to give your hair a great blow-dry. Tourmaline ceramic prevents heat damage while ionic technology prevents frizz. 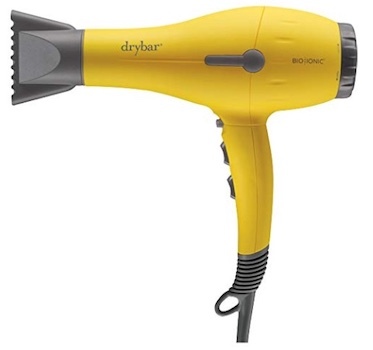 The in-house dryer of famous blowout bar Drybar, the Buttercup is designed to give great at-home blowouts. It’s ultra-light, ultra-powerful, and performs well on hair of all lengths. It employs nano-ionic technology to seal in the hair cuticle, leaving hair more hydrated and less frizzy. 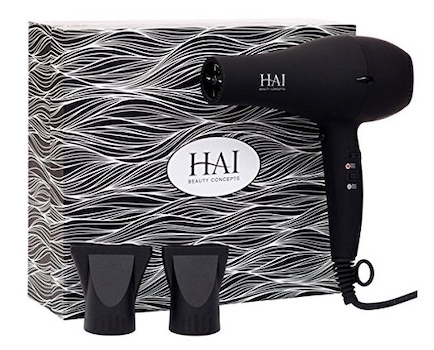 If you want to take care of your scalp while drying your hair, look no further than this blow dryer from HAI. In addition to having customizable airflow and temperature settings, it uses blue UV light to condition your scalp and keep your roots healthy. As a bonus, this hair dryer releases a fresh jasmine scent when operating. This 2000-watt hair dryer is stronger than most other models — which is great if you’re looking for super fast drying or if you have thick hair. While you just get a big blast of heat from many dryers, the Ceramix Xtreme Dryer also has six heat and speed settings so you can make adjustments if you want to go gentle on your hair. It also comes with a concentrator nozzle that can be used for hair styling. For a blow dryer that keeps hair healthy, check out the T3 Featherweight Luxe. It is powered by a combination of T3 tourmaline, ceramic, and SoftAire technology which combined generate a high volume of air at a gentle speed, protecting hair from damage. With this unit blow drying hair is actually healthier for it than normal air drying would be. 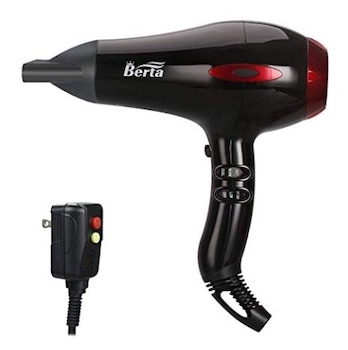 This hair dryer from Berta uses ionic technology and infrared light to hydrate and strengthen hair. It dries at a constant temperature to ensure you get an even dry, but you can also adjust the heating settings manually to better suit your needs. It also has an extra long cord which can be very convenient, so long as you don’t get tangled up in it. 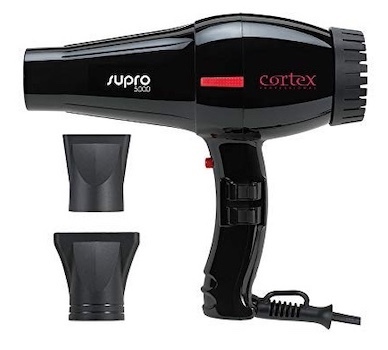 With so many hair dryers breaking down within a year of purchase, Cortex Professional’s lifetime guarantee on its hairdryers stands out as a confident mark of quality. This dryer utilizes an ultra-low electromagnetic field to protect hair without compromising its drying power. Centrix Q-Zone Dryer was specially designed to be as quiet as possible without sacrificing power or efficiency. 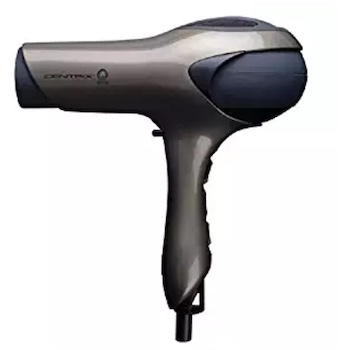 This hair dryer is also lightweight and ergonomic, making your drying process that much easier. With its ceramic tourmaline barrel, it will protect your hair as much as your hearing. For maximum hair dryer efficiency, look no further than this offering from JOHN Blast. It boasts an extremely powerful 2200 watt motor to give your hair a very fast dry and is strong enough to be effective on coarse or thick hair in less time than other models. To avoid damaging hair, this blow dryer uses ionic technology, which lets hair retain its moisture. 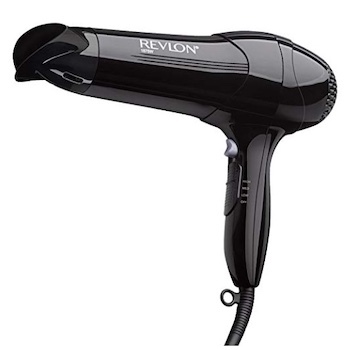 One of the most popular men’s hair dryers on the market, Revlon Quick Dry is a simple yet effective option for your hair drying needs. It has an ultra-lightweight design and multiple heat and speed settings for flexibility. In keeping with its easy-to-use features, it comes with a hanging ring for effortless storage. 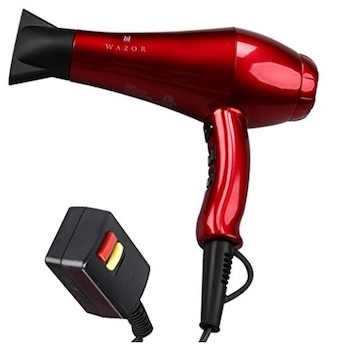 This hair dryer from Wazor takes advantage of dual ceramic and ionic technology to make your hair look great. Its air outlet is made from ceramic tourmaline, which leaves hair smooth, while the ionic energy simultaneously prevents hair from over-drying. This is a good choice for people with short hair or who dry their hair infrequently. Laura is a contributing health and wellness writer for Zwivel. She is based in Quebec, Canada.